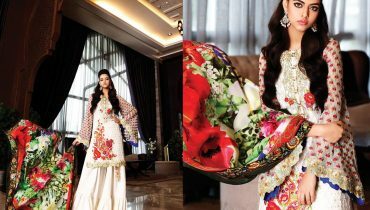 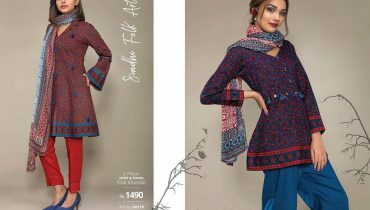 Here we have shared with you so many beautiful and stunning eid collection 2013 by your favorite fashion brands and designers.Here is an another Red Tree eid collection 2013 for girls has launched in awesome stitching styles. 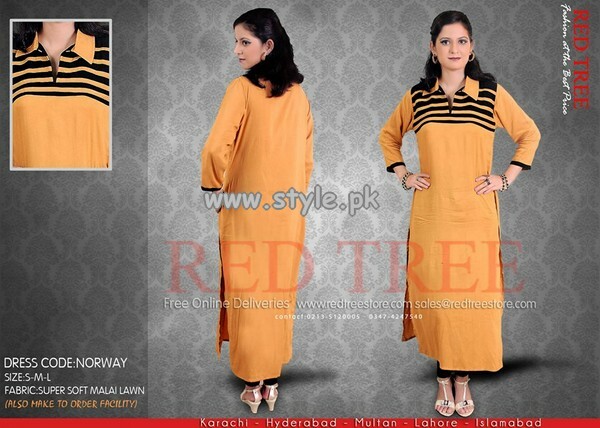 Red Tree is one of the most famous and demanding fashion brand in our country.Red Tree is a fashion label,w ho has emerge don the screen of fashion in year 2009 and since then they have launched so many collection which must be according to the latest fashion trend and season.Red Tree offers casual wear to party wear dresses in pure ready to wear pattern.Red Tree is one of the famous fashion house, where you will find all the dresses in awesome stitching styles.Red Tree has recently released Red Tree eid collection 2013 for women.This beautiful collection has designed with full of simple stitching styles.This collection included ready to wear kurtas with tights and churidar pajamas.Red Tree has embellished with embroidery, laces, tussles and etc etc.The colors sued for this collection are brown, green, black, white and etc etc.Furthermore, this collection will be a perfect collection for Red Tree 2013 here below..
Red Tree Eid Collection 2013 For Women. 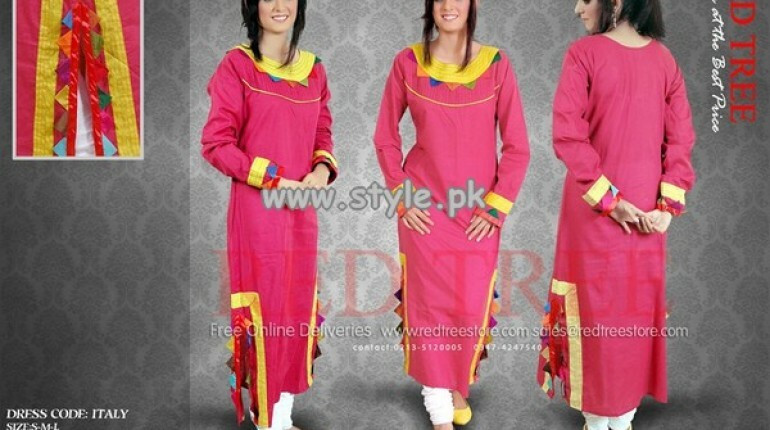 Red Tree Eid Dresses For Girls 2013.